The carpet may have been red at the 84th Academy Awards, but if fashion designers have anything to do with it, future star-stilted award ceremonies will soon be filled with a lot more green in the coming months—Giorgio Armani, Chanel, Tom Ford, Karl Lagerfeld, Gucci, and Yves Saint Laurent are just some of the few designers who are rumored to have been inspired by the stunning eco-friendly dresses seen at last Sunday’s award ceremony. Hundreds of professional and aspiring fashion designers submitted gowns made of sustainable products earlier this year to compete in the third annual Red Carpet Green Dress Contest. 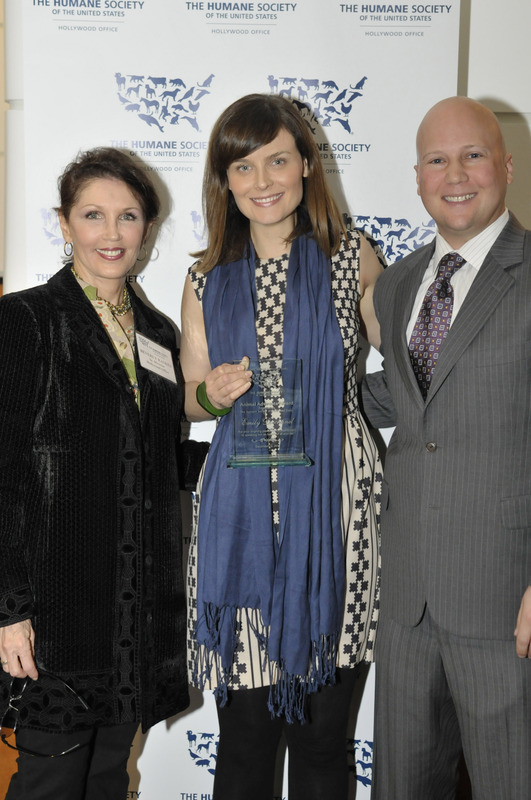 This contest, which was initiated in 2009 by environmental advocate and wife of Director James Cameron, Suzy Amis Cameron, was created in the hopes of significantly reducing the environmental footprint fashion can have on the planet. Contest winners had the opportunity of seeing their gowns worn by some of the hottest Hollywood stars at the Oscars, including Best Actress winner Meryl Steep, on Feb 26. That said, below are some of the winners as well as the Hollywood stars who rocked the dresses. Italian movie producer and environmental advocate Livia Firth wore this lavish, bright red custom-made couture Valentino gown, which according to the “fashion police” was beautiful enough to dub her as one of the best dressed. What many didn’t know however was that the fabric was a hybrid of polyester derived from recycled plastic bottles and Valentino’s house silk. She also wore diamond earrings from Celleija, a sustainable jeweler. Hubby Colin Firth did his part to sustain the planet too—he recycled the Tom Ford suit he wore to the Academy Awards the year before. 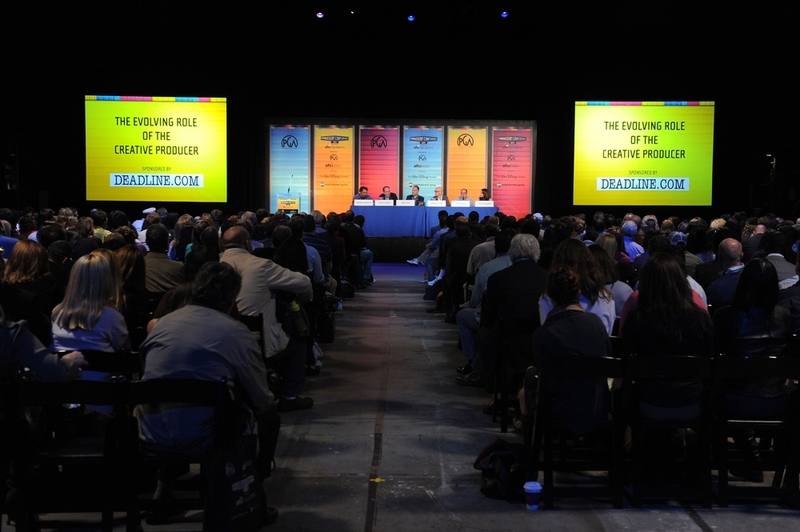 For the first time, the 2011 PBC brought acclaimed producers and industry veterans along with hundreds of film commissions together to interact with an astonishing number of participants—more than double the number of attendees from last year’s PBC. With speakers like Harvey Weinstein, Lawrence Gordon, Kevin Smith, Mark Gordon, Darren Star, Robert Greenblatt, Tim Gibbons and many more, over 100 masters of their craft shared their expertise as attendees were endlessly inspired throughout the two-day celebration. In addition to riveting panel sessions and conversations, attendees were delighted with the unique exposure and interaction with film commission exhibitions from around the globe spread throughout the Disney lot. Reaching across film, television and new media industries, the annual Produced By Conference is an educational forum that involves acclaimed producers, including countless Academy Award®-winning filmmakers and Emmy Award® winners, as well as the next generation of creative entrepreneurs. 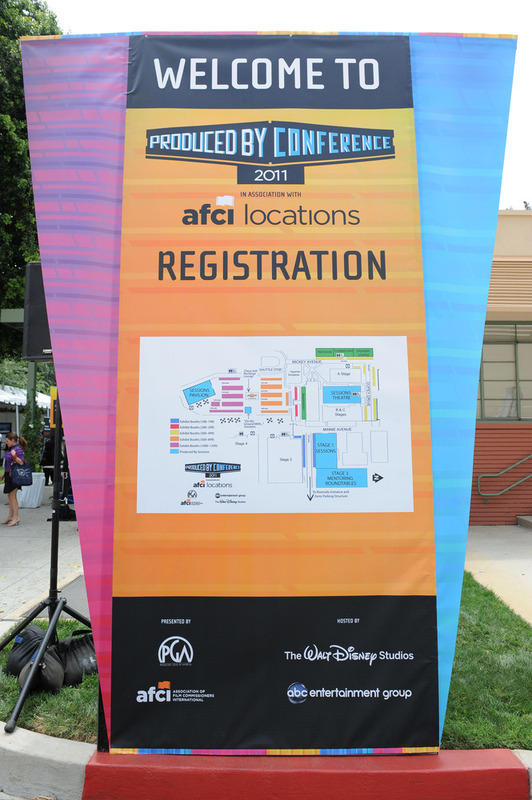 The AFCI Locations Show is an annual gathering of film commissions from around the globe representing over $2 billion in financing and incentives. 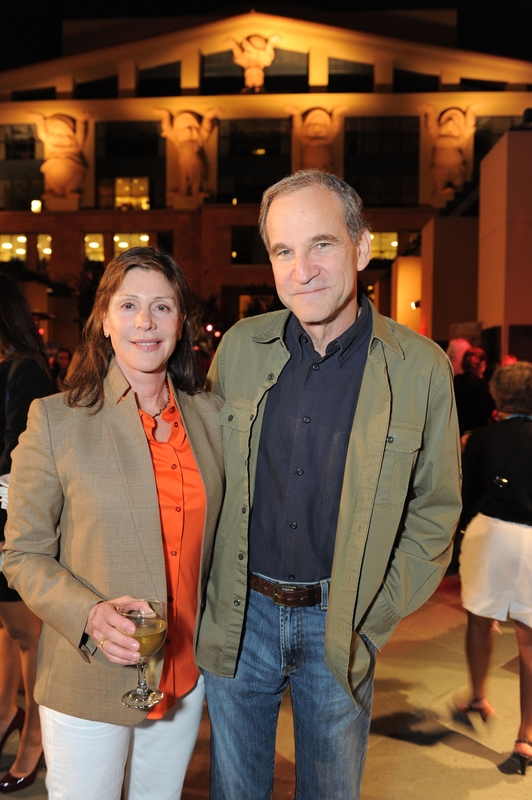 The PBC event was chaired by Marshall Herskovitz, Gale Anne Hurd and Rachel Klein. Further information on this year’s event can be found at www.producedbyconference.com. 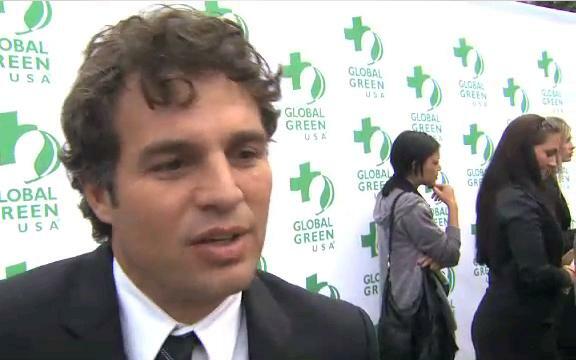 Check Back soon on Greening Hollywood and Green Blog Network for our Green Event Coverage of the PBC 2011. There is one spa that was voted The Best Spa In The World by Condé Nast readers in 2010. 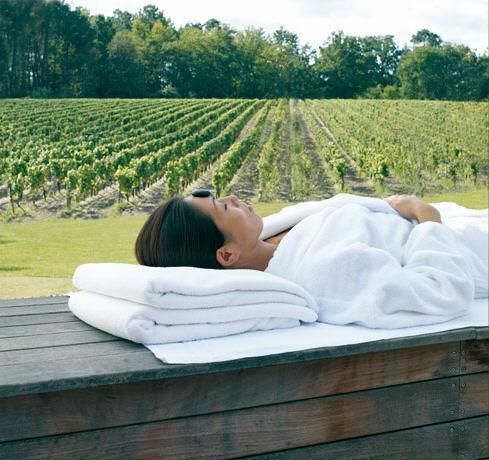 That spa is in France’s Bordeaux region and sits serenely in the middle of a vast and prestigious AOC Graves vineyard. The spa? It is Caudalie Vinothérapie Spa. On her parents’ vineyard and just next to her sister’s Small Luxury Hotel, Les Sources de Caudalie, in Bordeaux, Mathilde Thomas discovered a naturally occurring hot springs 540 feet below ground. 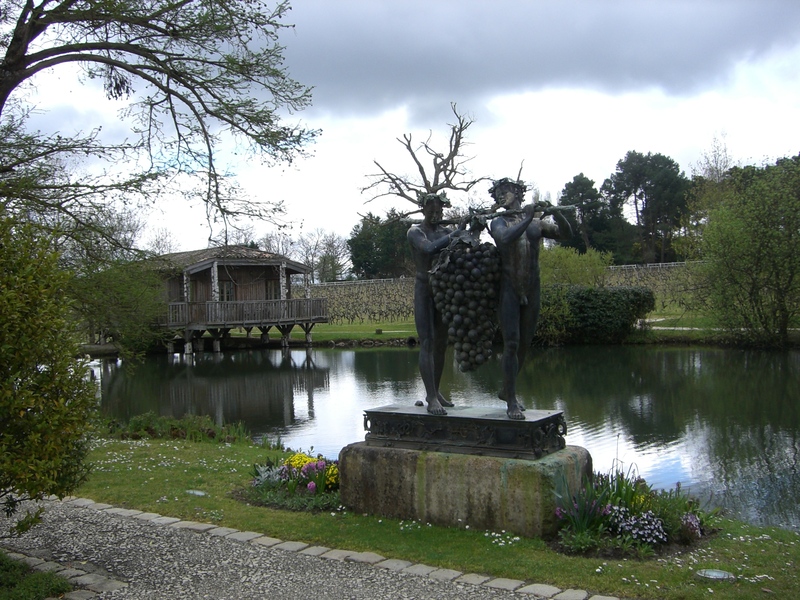 This is the site on which she and her husband, Bertrand, built the signature Caudalie Spa based on the anti-oxidant, ant-aging properties they have patented from the seeds and skins of grapes. 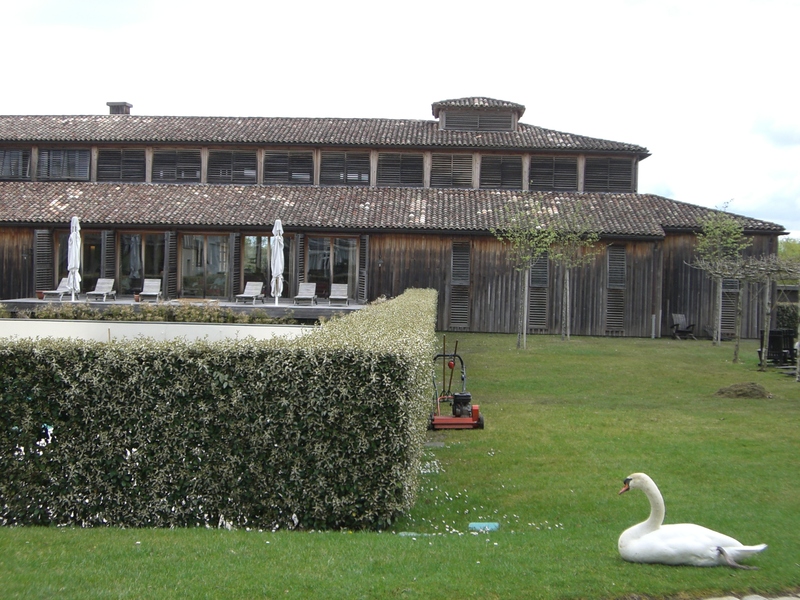 Caudalie Vinotherapie beauty products are used exclusively at this idyllic spa in the Bordeaux countryside, in a vast wooden structure planted next to a pond with swans and indoor-outdoor swimming pools. Treatment rooms are both upstairs and downstairs and it is possible to walk from your hotel room in your robe to your spa treatment in the Caudalie Vinotherapie Spa with only a few feet of exposure to the outside air. Famous among their treatments are the Barrel Bath, the Honey and Wine Wrap, thePulp Friction Massage with fresh grapes and the Crushed Cabernet Scrub. At each of the relaxation stations are small dishes of fresh grapes alongside pitchers of fresh water. Portishead and other “lounge” music is piped in overhead from the sound system, unless you request classical or another genre. You can also go for a simple Caudalie Grand Facial Treatment. This includes a full facial massage, gentle buffing cream made from a base of crushed grape seeds, a moisturizing (or purifying, as needed) mask and anti-ageing serum for eyes and lips. You also have the choice of a hand or foot massage. Afterwards you are welcome to linger downstairs in the lounge chairs that overlook the vineyards and dip into the pool that has strategic water jets fitted at just the perfect height to pulsate relaxing water onto your neck and shoulders. There is also now a Caudalie Spa in NYC. Read More on Greening Beauty. Hemp Guitar, Make Some Noise For Earth Day! For Earth Day, Make Some Noise! What better with than this Electric Guitar made from Hemp! Photo and Product Description courtesy Daryl Hannah’s Love Life Website. Rock On Daryl and on the rest of the Love Lifers, Earth Lovers! hemp is one of the worlds most sustainable plants!!! Paige Donner is a Luxury Writer. Caudalie is a wine term, in French, that refers to the length of time the taste of a wine lingers in the mouth. The longer the better. It is a measurement of a wine’s quality. A spa and beauty care line based on patents derived from bio-research on the beauty benefits of the grape, Caudalie is a fitting name for this French line that originated in the heart of Bordeaux, in fact in the prestigious Graves appellation. Mathilde Thomas is the Founder and Creator of Caudalie, a top-selling beauty line in French Pharmacies, where so many of the best beauty brands in France are sold. Since a year or two, Ms. Thomas, now NYC-based, has launched her brand in the U.S. But though this young beauty visionary may spend her day-to-day in NYC, it is in Bordeaux where her heart, and the base of Caudalie Vinothérapie products, remain firmly rooted. Working with Dr. Vercauteren of Bordeaux’s University of Pharmaceuticals, Ms. Thomas was intrigued by a claim he made to her during the 1993 grape harvest on her parents esteemed Bordeaux vineyard, “Do you know that you are throwing away treasures?” he asked her when he saw the grape skins and grape seeds being discarded. She quickly learned, by listening to Dr. Vercauteren’s explanations, that grapeseeds and grape skins hold extraordinary deposits of anti-oxidants, in the form of polyphenols. And this is where Ms. Thomas showed true entrepreneurial genius, because from that bio-detritus, she created the luxury “Cosm-ethics” beauty care line and brand, Caudalie. “The most powerful anti-oxidants occurring in the vegetable world. They stop free radicals, which are the main cause of cutaneous ageing. They are the best anti-ageing shield for the skin. 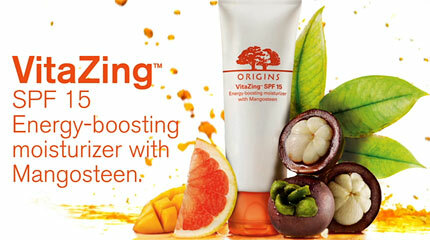 It gives the skin back its youthfulness and firmness. Harvard’s Department of Medicine identified Resveratrol as the most effective active ingredient for prolonging cellular life. The sap from grapevine stalks was used in the past to diminish dark spots and clarify the complexion of young women. Viniferine protects against dark spots and leaves your complexion incredibly radiant. The Caudalie researchers have come up with a few more grape treasures which are formulated into the beauty line such as “organic grape water,” grape-seed oil, and Vinolevure®. You can rest assured you are making an ethically beautiful choice with these products, too. 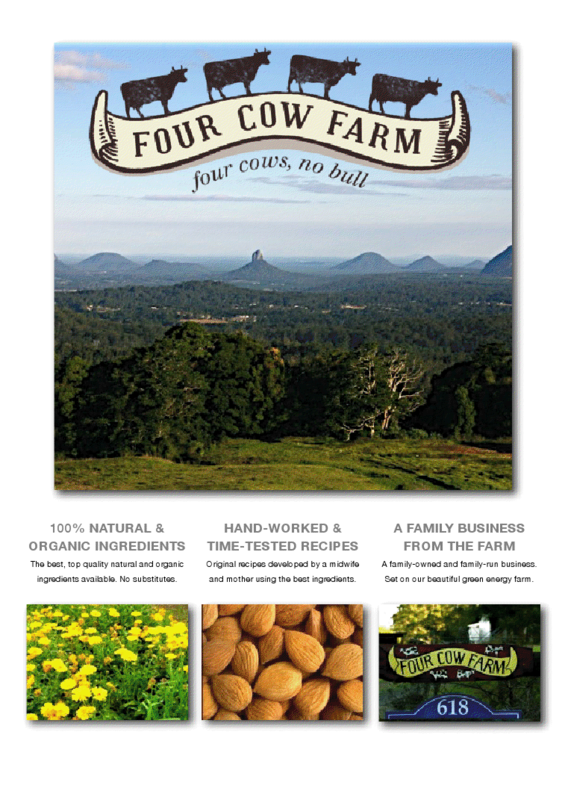 None of the formulas are tested on animals and they ask that their suppliers do the same. They use the maximum amount of natural ingredients, that are both biodegradable and respect the environment, in their product lines. Her coined term of “Cosm-ethics,” refers to the fact that no animal ingredients, parabens, phenoxyethanol, phthalates, mineral oil, synthetic colorings or sodium laureth sulfate are used in any of the formulations or products. There are also Caudalie Spas: In Bordeaux, France; NYC, New York; Versailles, France; and in Spain. 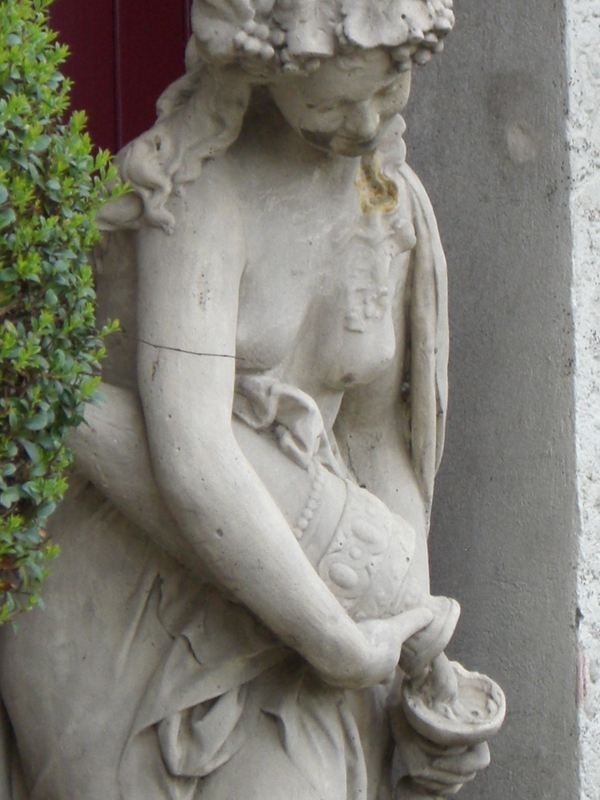 Read the related article on Spa Caudalie in Greening Beauty. If you pick up a Weekend Edition of the NY Times Travel section today, you will find inside a wonderful article highlighting some of Paris’s green-friendly programs. Of special interest is the fact that Paris ranks number 10 as a Green City according to a report referenced at the 2009 UN Conference. Most of the Green Points highlighted in the article have been written about already here on Greening Paris and also on our affiliate blog, Local Food And Wine. Both are published by Paige Donner c. Paige Donner, Ed-in-Chief. It’s wonderful to see, this Earth Month 2011, that the NY Times, of which the International Herald Tribune is its global edition, sat up and took notice of what Paris is doing in a green-friendly way! You can also read it in Print in the April 10th 2011 edition of Travel Section. Read all about the World’s Green Trends on The Green Blog Network. 30 times sweeter than sugar, Stevia, the herb-derived non-caloric sweetener that has replaced those others recently, is actually a beauty remedy as well! 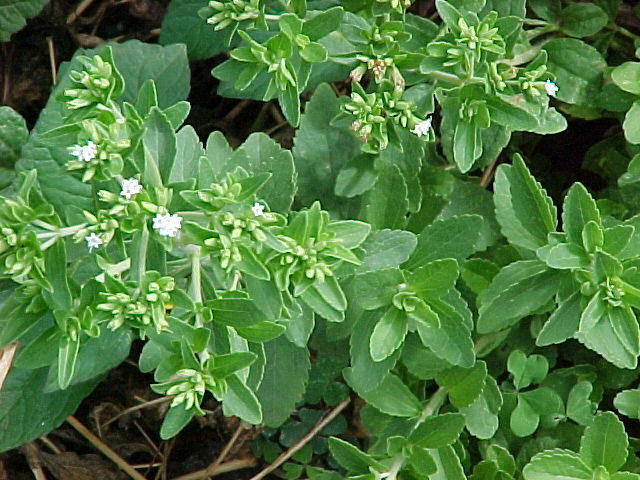 It comes from a small green plant (stevia rebaudiana) found in Paraguay, the native Guarani Indians have apparently always used it to sweeten their drinks. It’s also good for fruit salads and to sweeten whipped cream! For your beauty regimen, its ultra-sweet power gives it its super hydrating properties, particularly for your entire body. Its “steviosides” not only moisturize but also soften the skin. Melvita makes an exquisite blend of thym infused honey and stevia called Apicosma that reveals ultra-soft, creamy rich and touchable arms, legs and all-over. You can also try blending some of your own beauty Super Potions using packets of Stevia that you find at your health food store. After you’ve donated to the water/earth/tree/sky/animal/children/developing world/urban community/greenspace et al. charities of your choice this season, here are some feelgood treats for your loved ones…and for you! 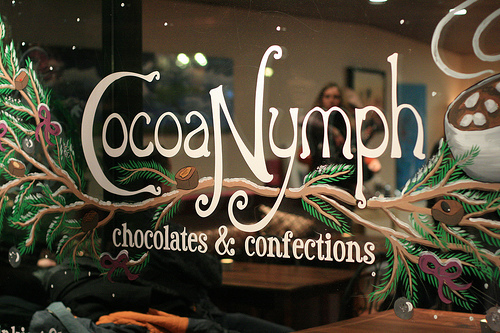 This delightful hand-made, artisanal chocolate is crafted singlehandedly by Rachel, the owner of Vancouver’s CocoaNymph.It is one of the only chocolate shops in the world I’ve been in that invites you to stay and savor a cup of hot chocolate before making off with your carefully culled cocoa concoctions. The Expert of Specific Treatments, Talika is a Paris based cosmeceutical company that excels at boosting your attributes. Whether that’s bust firming and lifting, or eyelash elongating or, as we recommend for a lovely and illuminating look for the holidays, their Eye Dream product. It comes fashioned in its own applicator so need to dip in fingers, it provides your eye area with exactly the right amount of dosage and a smooth applicator that soothes as it spreads the light cream. Ingredients are: Peptides, Dipeptides, Soybean Protein Extract, Floral Waters of Lime and Orange, Horse Chestnut Extract, Vitamin F. When you wake up puffiness around the eyes are reduced and eye contour area is thoroughly mousturised and smoothed. 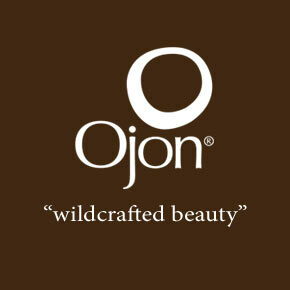 Sustainable harvesting allows Ojonto share the treasures of the rainforest without destruction or depletion of the resource. The naturally derived ingredients used in their products, such as theWinter Shine & Protect line, are all harvested, sustainably, from the rainforest. Their Shine & Protect glossing mist is fortified with Ojon Oil, Broccoli Seed Oil, Wheat Germ and Sweet Almond Oil. And…it works! Sold exclusively at Sephora. Available in Canada, Australia, U.S., U.K. and Germany. The ONLY Calendula-infused olive oil balm on the market which is made from 80% organic Calendula-infused olive oil. All others are much lighter creams or tinctures (which are steeped in alcohol and can be very drying). It’s been formulated to soothe inflamed or irritated skin, or skin prone to dryness or eczema and was our first product, designed for a naughty toddler with eczema. It is the richest, most soothing 100% natural balm currently on the market. It can also soothe baby’s dry skin conditions and eczema. This face and body serum smells so good you can use it as a perfume; it is so effective that you can use it as a first aid remedy for minor cuts and abrasions. Made from 11 essential oils and plant oils, it is super anti-oxidizing for the skin. 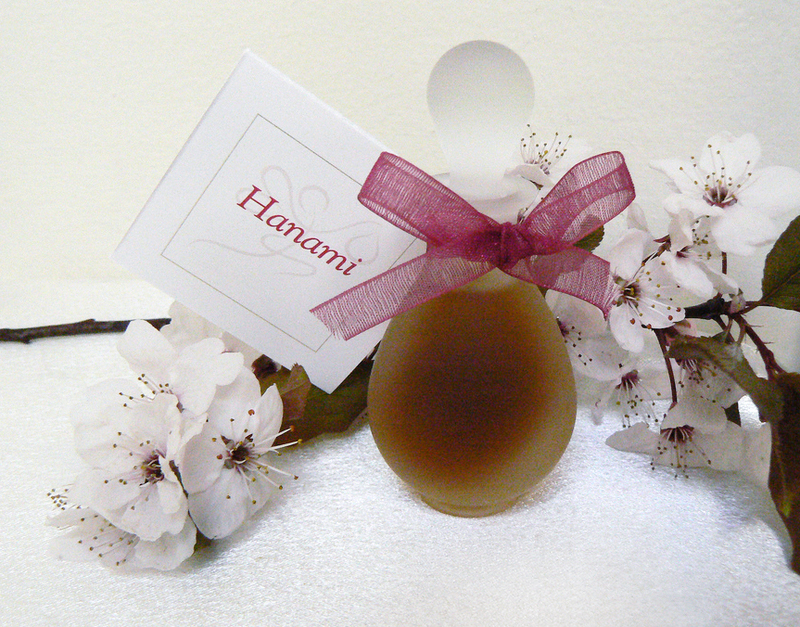 You can use it on the face, on your body and also as a deep-oil conditioning treatment for your hair. Inspired by a poem, Ayala chose to create her Hanami perfume around the themes of subtle and urbane, flowers and dusty dirt. She recreated the dusty, urban landscape of the Metro by using Cabreuva, siamwood and cassie to achieve the metallic scent of wet train tracks. Vetiver and bakul attar contribute their dusty notes, and then cherry blossoms are represented by an accord of vanilla, tonka bean, pink lotus and magnolia. Perfumes are all natural based and the glass used is French-sourced bottles of recycled and recyclable glass. Express Male by Origins is a nice tidy package of natural and clean personal grooming products that make a chic gift for your metrosexual male. Skin conditioning Kukui Nut oil and Smoothing Soybean oil will have his razor gliding nearly hands-free across his stubbly square jaw. Fire Fighter® takes the burn out of shaving and is loaded with Chamomile, Cucumber and Winterbloom. 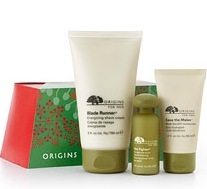 Available at all Origins stores. In a recent interview with Live Science®, one of the researchers behind a study noted in theDecember 2009 International Journal of Primatology, Ian Stephen explains, “effectively health1and attractiveness are pretty much the same thing .” In the study, to optimize the healthyappearance of male and female subjects, rosiness, yellowness and brightness were improvedin digital photographs. The study revealed that these changes to the skin “enhance theperceived health of human faces.” In a world where many of us work long days (andsometimes nights), do not get enough water or nutrients, or perhaps, have little ones at home,how is it possible to achieve a rosy, bright, healthy glow, instantly? Recycled gift-wrapping tissue from Calligrane at 6, rue du Pont Louis Philippe, Paris. And best to replace those unrecyclable ribbons and bows with…torn strips of old t-shirts strung with cool, found beads and other objets bijoux that you find. Now there’s a gift fit for a Queen or a King! 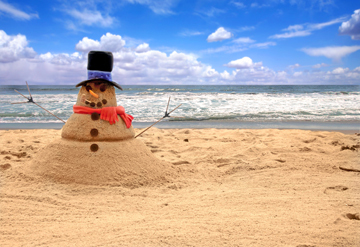 Merry Christmas and Happy Holidays from Greening Beauty, Greening Hollywood and The Whole Green Blog Network!! !